Coaching is all about the ability to increase performance, and to achieve the best results in tangible ways – more profitability, less waste, more co operation, less blame, more well being, less stress. As such coaching belongs right at the interface between people and tasks. Coaching is about freeing and enabling people to develop their self belief, raise their awareness, and take responsibility. When we have self belief, we take pride in our work, and strive to do better. When we are more aware, we know what to do less of and what we need to do more of. And when we take responsibility, we become creative and we stop blaming others. Coaches use psychological awareness and approaches to enable their clients to turn these three principles into action. A coaching conversation is one in which the coach will work closely with their coachee to support their motivation and identify what it is they want to work towards. Coaching is a very small investment of time and application which yields extraordinary rewards. `helped me to personally design myself a better future, thinking about where I wanted to get to, and ways to do it’. 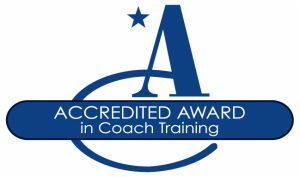 For more information on coaching please contact us.